They promise sweet refreshment from their strife. The landscape has returned to sand and rock. The Vikings did the same when they once ran amok. This is a Spenserian stanza, inspired by recent research which found that when an area in Peru’s Atacama Desert encountered rainfall after long periods of drought, the heavy precipitation destroyed almost all of the microbes that had lived there. 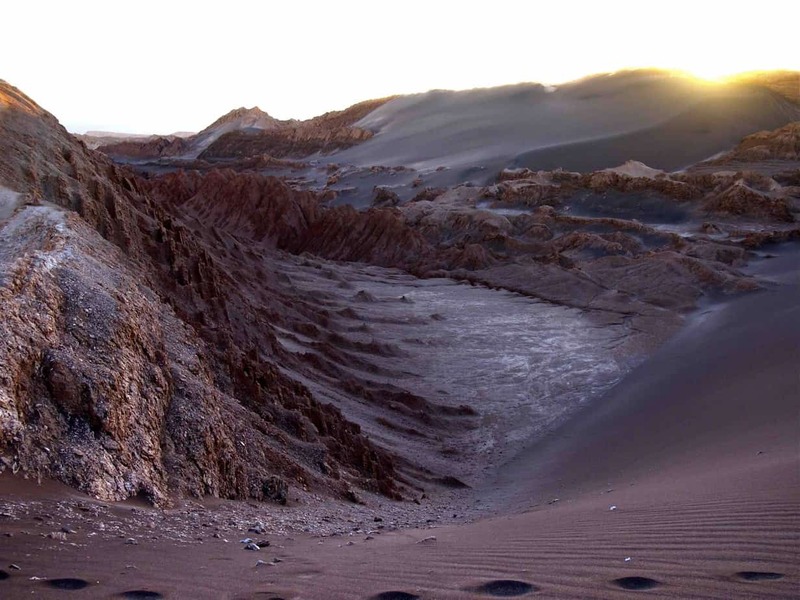 The core of Peru’s Atacama Desert rarely experiences rain. However, changing climates over the Pacific Ocean meant that rain events occurred in 2015 and 2017. Before these rain events the extremely dry soils were inhabited by up to 16 different, ancient microbe species, yet afterwards only two to four microbe species could be found. The sudden and massive input of water in regions that have remained extremely dry for millions of years caused this massive extinction event, with the microbes that had adapted to survive with meagre amounts of liquid water, quickly perishing from osmotic shock when water became suddenly abundant. These results also suggest a possible path for the microbiological evolution on early Mars. The global climate change which led to Mars becoming a vast desert was intermittently interrupted by enormous flooding events. Instead of being an opportunity for life in these arid regions to bloom again, these flooding events might have led to the decimation of ecosystems, contributing to a patchy distribution of inhabited habitats. The researchers also believe that the Viking Programme of the 1970s may need to be re-visited. This Programme sampled Martian soils for microbes, utilising an analysis strategy that involved subjecting the Martian soil samples to aqueous solutions. Such an approach might have resulted in killing any ancient microbes through osmotic shock, resulting in a false negative (i.e. no microbes were detected, not because there weren’t any, but because they had been killed by the analysis).